Professor Maslanka is widely regarded as one of the top employment and human resources lawyers in Texas. After earning his J.D. from Tulane Law School with honors, Professor Maslanka served as a trial attorney for the National Labor Relations Board; his legal career in Dallas includes being an associate and partner with Clark, West, Keller, Butler and Ellis; serving as partner and head of Labor and Employment group at Godwin Gruber; and serving as managing partner of the Dallas office of a national employment law firm, Constangy, Brooks, and Smith. Professor Maslanka is a prolific writer and speaker on employment law, and also on topics relating to professionalism, ethical decision-making, and law practice. Among his regular writings are: Work Matters, a monthly column in the Texas Lawyer on professionalism, and on employment law; The Literate Lawyer, a quarterly column in the Texas Lawyer on how literature makes us better lawyers and better human beings; and the Texas Employment Law Newsletter, a monthly newsletter. He is also the author of Human Resources Forms with Commentary (Warren, Gorham & Lamont 1998); Maslanka’s Field Guide to the FMLA (4th ed. 2015); Maslanka’s Field Guide to the ADA(2012); and Maslanka’s Field Guide to the Texas Labor Code (2012), among other books. He developed “The Adaptable Lawyer” in conjunction with the Texas Bar CLE annual program at the Texas Bar Convention; the program is designed to help solo and small firm lawyers adapt to the changing practice of law. 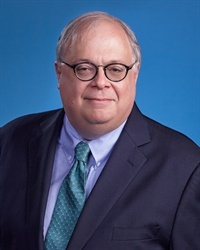 His extensive teaching in continuing legal education has addressed employment law, as well as topics of effective client communications, dealing with professional challenges such as dysfunctional counsel, and professionalism.